You might be thinking that telling about yourself to others is something very easy. Well, How hard it would be ? After all, nobody knows best about you than yourself! However, people get tongue tied when a recruiter asks them this question “tell me about yourself“ in an interview. The purpose of asking this question. How to answer the interview question “tell me about yourself”? How “tell me about yourself” question works in your favor? So, where to begin from ? 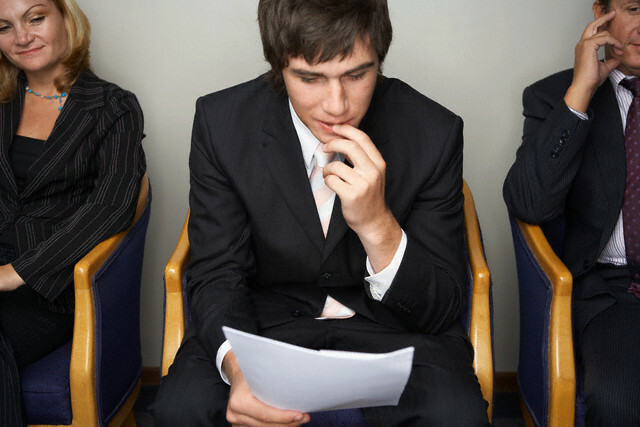 Attending an interview with out any perepartion will not help you land the job interview. So your first stage should be preparing for the interview and researching about the company. You can opt for any of the sources while preparing for interviews. In these days, you can find almost everything related to interview preparation on web so make good use of it. Also researching about the company would help you understand the goals and vision about the company. While, preparing will give you an idea on how to answer the questions. Even if the hiring manager does not ask you this question, it is always a better option to prepare an answer in advance so that you just don’t confuse yourself when this question pops up from the interviewer mouth. Now let us begin with few tips. to help you through with one of the most dreaded questions in the recruiting process. This is one of the most expected questions in any interview. However not many people know how to answer this well because they aren’t prepared too well to answer these kind of questions. Now being unprepared for something even when you know you will be facing it is sheer laziness. Some of the standard answers include your name, your educational qualifications, and some even go as far as talking about their hobbies. Some just recite their entire CV. Although these are important, you need to be aware of the context while you are answering. You need to understand what the recruiter is expecting from you when they ask you to talk about yourself. The recruiter is always assessing you even when he/ she is informal with you. Make sure you take some time off to focus on this question, and find a suitable answer. Make a list of things you are good at and focus on the ones that suit the role you are expected to play in the company. Even if you are trying to tell them about something you are proud of, but is inconsequential to the outcome of your interview, make it seem like the lessons you have learned from the experience helped you grow in a way that will be beneficial to your job designation. The answer to this question varies depending on who is asking you the question. If you are asked this question in the technical round you will have to concentrate more on your technical achievements and interests. But if you are asked this question in the HR round, the recruiter is looking to asses you as a person, as to how you will gel with your co workers, and how you handle stress. It is best to keep your personal details to a bare minimum in both cases. Stating your name and academic background should be enough, unless the recruiter probes for more. Answer to the point without rambling as far as the personal details or hobbies are concerned. The objective of any job interview is to sell you as the best option for the position available. So you should be like a good salesman and always focus on saying things that will improve your chances of being hired. That does not mean you can lie, but carefully select the facts you present to them. For example, if you are looking for a job as a Marketing executive, bragging about your achievements on the cricket pitch will get you nowhere compared to the inter class quiz competition you won. The same goes to telling them about you. Focus on the skills that you are known for, and the qualities that represent you, which help the recruiters determine how much of an asset you are to the company. Rambling on and on about how you will be an asset to the company, how you are hard working and easy going will only bore the recruiter. Stick to talking about the skill sets you have developed which will help you in your role within the company. The question is to tell about yourself. If you waste time thinking about what it is that makes you what you are, you give off a bad vibe to the recruiter. This is why it is important to prepare beforehand. Do not waste time in thinking about the best possible answers, have a couple of well-rehearsed answers/ qualities at the edge of your mind, which you can present to the recruiter. Most of the time, the recruiter is looking for your confidence and enthusiasm when you answer this question. Do not pause or stall when you answer this question, this shows a sense of lack of self-awareness and self-esteem on your part. Take care of non-verbal cues such as correcting your slouchy posture, smiling and generally looking alert when you answer this question. You have to captivate your recruiter right from the first instance. The first words that flow out of your mouth must reel your recruiter in, and keep him interested till the end of your answer. Sound passionate about yourself, like you take yourself seriously and make it seem like you are the top priority in your life. This lets out an aura that says you know well about yourself. It demonstrates your ability to be precise and crisp with your descriptions. An air of sophistication follows with a popular quote. Using an obscure lesser known quote will also work well. It shows you are well motivated as well. This is a great way to let the recruiters know that you are a thinker who has your life sorted out well. Shows you are confident and have a good rapport with people and have a charming demeanour. This is a great opener, where you can start out about your passion towards subjects/ skills that are required in your job description. This is a great way to let them know that you have been passionate about your job and have been looking forward to it for a long time, you can then go on to talk about your achievements and your preparations to make it in your profession. This is a great way to start out playful, yet show them your professional demeanor. These are just a few examples, you can always improve on them to suit your needs best. However, memorize a few before you go to your interview. You have to sound convincing, and the answers must seem natural and not rehearsed, this is very crucial for your performance. Practice these a few ties until you are comfortable talking about your academic achievements and leisurely activities without having to stop and think. Although these responses are unorthodox, these stand out from the crowd of regular answers and make you seem more interesting, improving your chances of getting noticed. Once you have finished answering the question tell about yourself, the recruiter will throw a follow-up question at you, either after you finish answering or he will interrupt you in the middle to ask you a follow up. This is done to throw the candidate off balance and to check if the candidate is giving a genuine answer. These questions will usually probe slightly deeper about your answers to find out the extent of your interest you take in describing about yourself. If you do not know the answers to these questions you can admit it and they can let it go. It is all about how you can handle those questions rather than how you answer. “Tell me about yourself” can be the first question asked by the interviewer in an interview process. So make sure that you are not goofing up on the first question itself, as it will be the worst thing you could ever do in an interview process. Understanding the purpose of this question helps you provide clear and crisp answer to your interviewer. Eventhough this is a tricky kind of question, most of the job seekers answer it by trying their own strategies. As every job profile and roles are different, there is no fixed kind of answer to this question. Moreover the interviewer is not much concerned about the stuff you will be answering but will focus on HOW you are answering or specifically how you are handling this particular situation. You can be asked this question in any of the above-mentioned format. The recruiter is interested to know about your background. He needs a quick overview of your resume by yourself. Are you clear about your views and your thought process? 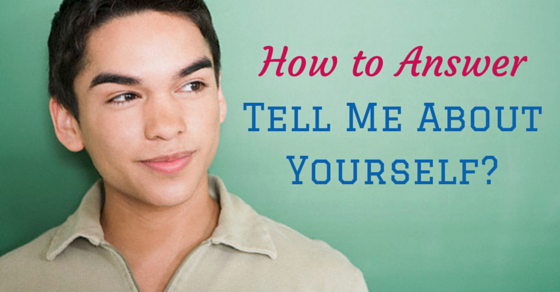 Are you nervous about presenting yourself? He wants to see if you have ever demonstrated leadership qualities. How confident are you? and are you too confident/ arrogant? Here you need to answer the question in a professional tone rather than forming your answer in a general way. What would you like to share with others? Important details that you would like to highlight. The answer you provide will be covering the above-mentioned questions too. Do not answer your question like a rehearsed version but be confident and articulated. There happens to be a basic formula for answering this “tell me about yourself” interview question. By providing answer this way, a trust factor can be build between you and the interviewer. The ones for which you can provide any metric or numbers. Something that can exhibit your skills. Any award or promotion you have received. Now this formula works in different types for different candidates. If the candidate is having 1-2 years of experience then he can cover all the success stories relating to his job. If the candidate is an experienced person, then he can provide real-time examples and scenarios he has faced in his working career. Altogether, the important point is that you need to list down all possible achievements of yours and match it to the requirements of the job role and the organization. You can easily get that by looking at the job description or by researching a little about the company. Another method for answering this question is using the STAR approach. II. STAR stands for Situation, Task, Action, Result. Situation – A situation which needs to be solved, using a skill or any new idea. Task – Setting up the tasks to solve that particular problem. Action – The action that has been taken place to resolve the issue. Result – The outcome of the whole action and task. Now to show how to use this approach in answering tell me about yourself interview question. let us consider an example of an online marketing manager’s achievement in building more traffic to company website. Situation – As a Online Marketing Manager at an organization named ABC, I was given the task to build 100k visitors for the company website. For that our team created a lot of audiovisual marketing content and were planning few new strategies. Task – As we were given a deadline I prioritized all the tasks and assigned tasks to individual team members, I received a budget and a list of things to complete. Action– Discussed the situations with my team and started working on all the tasks that were assigned and the strategies that help in boosting up the traffic of the website. Result – Under my leadership, we were able to reach beyond our target that too with in the deadline. This projects covered few other initiatives too and also helped to increase the sales by 10%. III. Another method to answer “tell me about yourself” is the 3 step process’. Example : I am a online marketer with 4+ years of experience and currently working for ABC company. Previously I’ve worked with 2 companies which are XYZ and and J & J consultancy. In this section, you need to provide all your achievements and success stories followed with your real-time issue and problems and the ways by which you overcame all of those. For example: I am highly workaholic and ambitious. Whenever I begin a new campaign, I try very hard to make it a successful one. Well basically as everyone, my goal is also to impress the client. Also as a matter of fact, I was rewarded with at least 12 industry awards and nominations. I once handled a project for a client who wanted to add digital media to his company. My Creative manager asked me to get the client on board. So upon his instructions, I created some samples and a presentation which helped us get the whole project. For example: Though I enjoyed my previous work, it was kind of monotonous. It’s a dream of mine to work for different clients. I have learned that your company has the connection with bigger clients and I’d love to switch gears. That’s is the reason why I have applied for this position. Research well about the job role, the company, and work culture etc into your answer. Help your interviewer to know that you are interested in the job. You need to show your strongest skills, personality characteristics, knowledge, and experience that are relevant to the job. Tell them about your short term and long term goals and aims. Do not speak about your or unload your entire life story, your favourite TV shows, pet name etc. Showing enthusiasm is good towards the position and company, but remember nobody’s perfect. Also, do not mention or refrain from talking about politics, religion or similar subjects in this response. Now that we have covered all the details relating to, ‘tell me about yourself question’, let us also look at some of the points on how not to answer tell me about yourself interview question. How “tell me about yourself” question can work in your favour? Recruiters are only looking for your strong suit. Unlike university exams where you are tested based on knowledge, a job interview only aims at knowing the depth of your knowledge in your field of expertise. Hence, when you are asked to tell about yourself, you can easily steer the interview in a direction you are comfortable in. If you highlight/ hint about your pet areas of expertise, the recruiter will tend to stick to that itself. The recruiter will tend to continue to ask in detail about the things you seem interested in if you make it seem interesting to the recruiter as well.